The need to review the approach to operating IT compute and storage is one that needs to be addressed on a periodic basis. To improve margins, companies need to examine operational costs and efficiency regularly. Recent trends in digital technology, cloud computing and mobile devices demonstrate the need for secure digital data storage. Combine these two problems, and one good solution to consider is colocation. Colocation offers several advantages over company-housed IT. However, it is important to understand the pros and cons before taking the plunge. If your business values high security, a flexible IT environment and operational cost reductions, colocation can be the answer you are looking for. What are the Key Advantages? Colocation involves moving away from privately held comms rooms or mini data centres, to using a professionally run data centre for production applications hosting, cloud computing or a business continuity site. Under this model, you are replacing the expensive and complex activity of running an inefficient in-house data centre, with one run by an organisation that specialises in this. 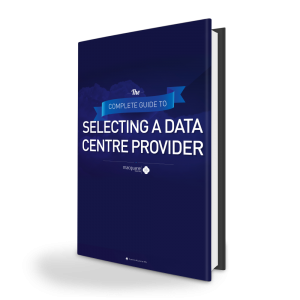 In order for you to feel confident you have the right data centre in mind, you should consider its ability to deliver a quality solution in the following areas. A data centre begins with detailed planning. The location of the centre should have a focus on sustainability, security and high availability with full N+1 redundancy in power supply, water and multi-carrier telecoms networks to ensure that it meets all required standards and will operate without interruption should any disaster arise. When you need to access your equipment in a hurry, any obstacle is a problem that can cost your company money. In order to minimise these types of problems, data centre staff need to be on hand to assists 24/7. They need to be able to diagnose, troubleshoot and resolve customer incidents as quickly as possible so you can continue to produce. Do not go with a provider that requires a notice period for you to arrive on site. They must be open and expecting you at all times. Disasters can occur, and a data centre should be prepared for this eventuality. Ensure the facility you select is certified to Uptime Institute Tier III design standards. This provides for no concurrent failures of critical systems, meaning whilst things may go wrong with power, water or mechanical plant, your equipment will stay on and functioning. Best practices require access to multiple carriers as well as the required certifications to operate at the highest levels of security needed for federal and proprietary work. If the data centre is carrier neutral, then you can work with the carrier that you prefer. These certifications must be periodically renewed to stay active and up-to-date. For most companies, the security of the physical location and that of the digital data are paramount – security from disaster, as previously mentioned, but also from theft, attack or corruption. With a well-run data centre, this burden is handled by the data centre staff and operations. Physical security is maintained by focused attention to the maintenance of the data centre infrastructure including power, physical access and electronic and manned security measures. Data security is additionally managed through proper handling of data, cooling programs to keep equipment at top-level function and cloud backup. Reporting is a critical method of tracking cost of operations and understanding exactly how the colocation services are being utilised by employees and customers. The data centre handles all of the reporting at the source, relieving company IT employees from this task. Company management can easily track their expenses and determine their needs for future requirements. Company IT employees can relinquish much of the tedious day-to-day reporting and problem solving, allowing the data centre staff to take on these responsibilities. With these jobs gone, the IT department can spend their time planning on company IT development and how to make the most of company IT resources. Whilst colocation solves many of today’s problems for companies owning and running their own IT equipment, in time this will become less common, and Cloud services will become predominant. 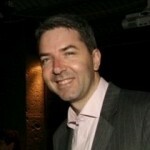 During this ‘transition’ phase companies will need to utilise both colocation and Cloud. For this to work, a Hybrid Hosting environment is needed, where by the Cloud you use should be in the same data centre as the collocation racks. This is not common, but if you can find a provider who can do this, you will have the optimum solution for a Hybrid IT setup – including superior performance, security, ease of deployment and scale. Our Intellicentre 2 has all of the qualities that you need for the utmost in performance and reliability in a data centre for colocation. For more information about how colocation will work for you, contact Macquarie Telecom on 1800 004 943 or submit an online enquiry today.